Tajikistan has banned foreigners from visiting its vast mountainous Badakhshan Province, the country’s main draw for tourists and the scene of fighting between locals and government forces in 2012 and 2014, Asia-Plus reports. The government claims it has stopped issuing permits to foreigners to visit the Gorno-Badakhshan Autonomous Oblast (GBAO) due to fighting across the border in Afghanistan. The ban is a temporary measure done for the safety of tourists, said Rizo Nazarzoda of the Committee on Youth, Sports and Tourism. Fighting has intensified in northern Afghanistan in recent months, but some analysts question the Tajik government’s claim that it poses an imminent threat to the Central Asian country. Indeed, some feel it offers cover for the government to crack down on Islamic worship and hype the threat of radicalism. Dushanbe has tenuous control over GBAO, which comprises approximately 45 percent of Tajikistan’s territory but 3 percent of its population. The region is home to a disaffected ethnic and cultural minority that has been largely ignored by the government in the far-off capital. GBAO is also a hive of drug smuggling, which seems to have played a role in the recent violence. The government has barred access in the past to the remote region, reachable by one or two poor roads in as long as 16 hours from Dushanbe. After fighting in 2012 between government troops and locals left dozens dead on both sides, authorities put up roadblocks. Since then, they have taken a dim view of anyone trying to investigate what happened, notably arresting a researcher last summer and charging him with treason before releasing him under sustained international pressure. It seems possible that once again the authorities have something to hide. 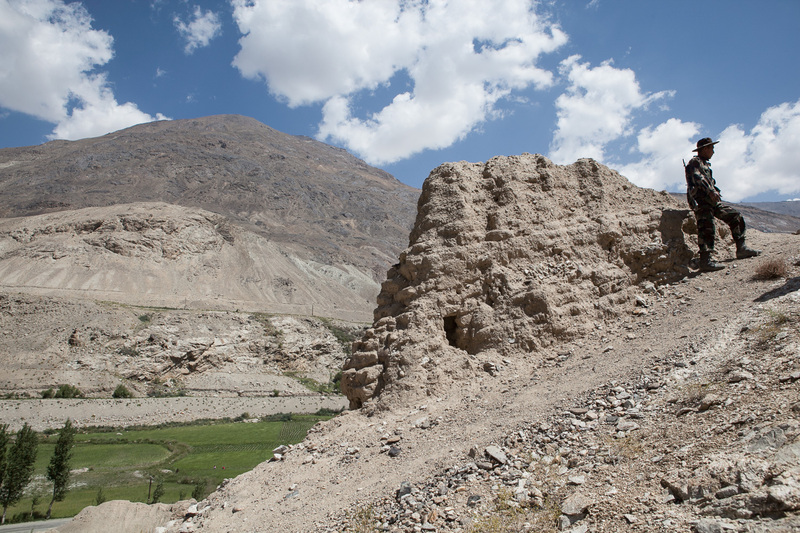 GBAO is home to many of Tajikistan’s highest mountains and other wonders, such as medieval Silk Road fortresses and alpine lakes. Nazarzoda of the Committee on Youth, Sports and Tourism said that 80 percent of tourists come to Tajikistan to visit the Pamir Mountains in GBAO. National Geographic Russia recently named the Pamirs third in its favorite places to visit in the former Soviet Union. Yet the GBAO permits have long been an extra bureaucratic process hindering the development of tourism, much to the irritation of locals. This month, Tajikistan ranked 119 out of 141 on the World Economic Forum’s Travel and Tourism Competitiveness index.